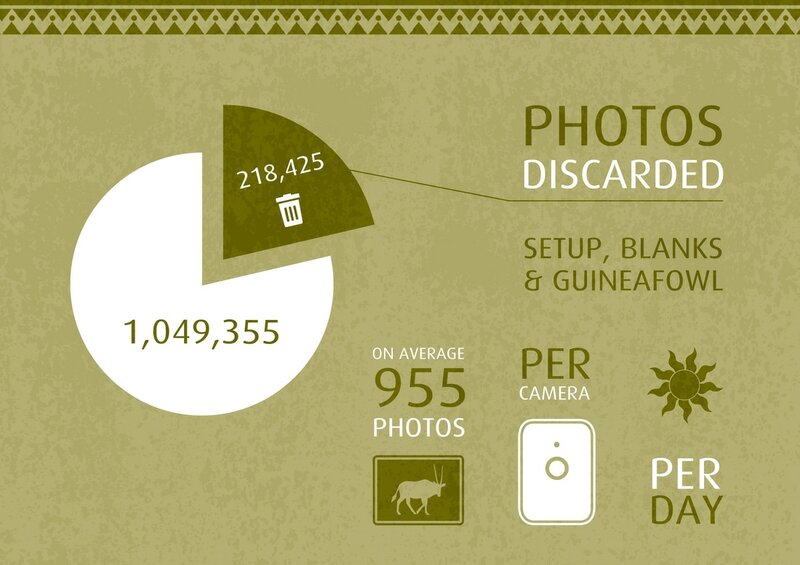 ​Ongava Game Reserve in Namibia is home to some of the most rare and endangered species of wild animals on the planet. 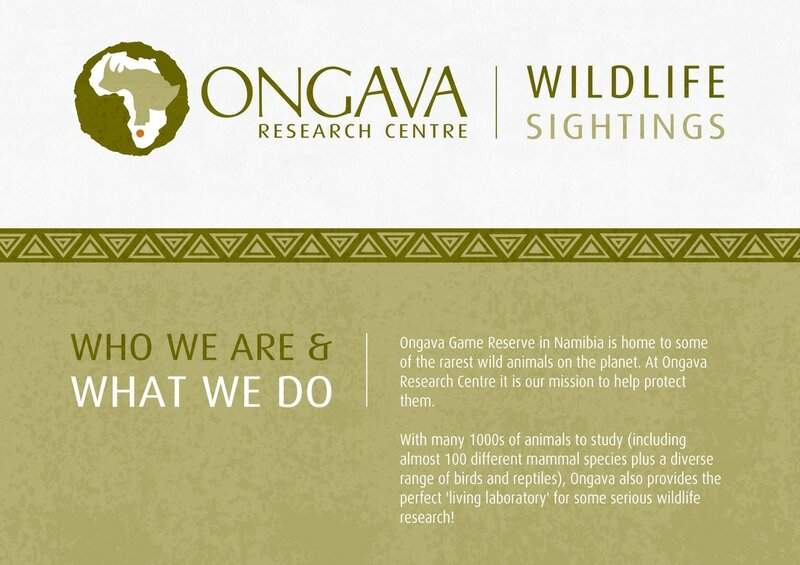 ​Our mission at Ongava Research Centre is to help protect them​. 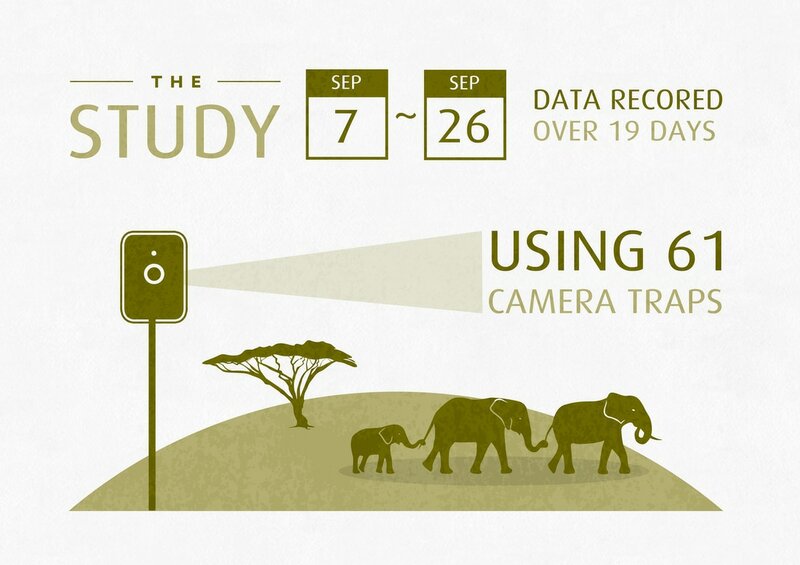 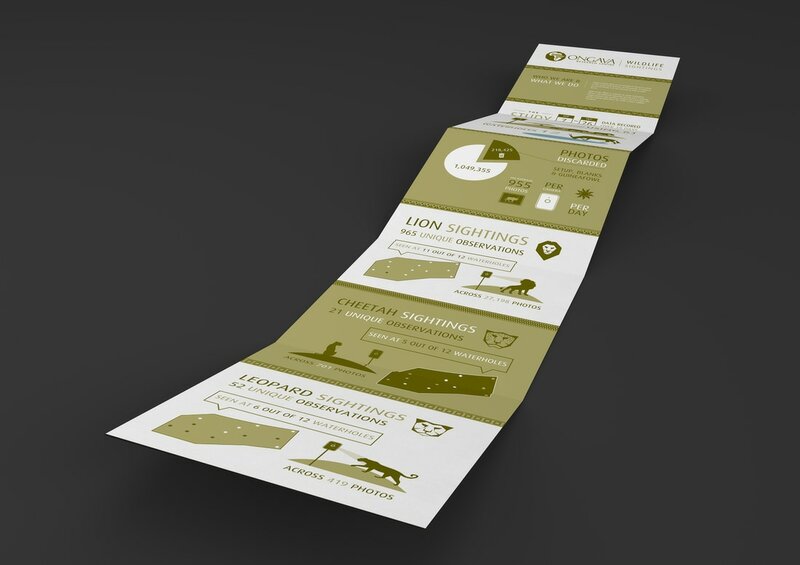 I produced the infographic for wildlife sightings bringing the facts and figures to life. 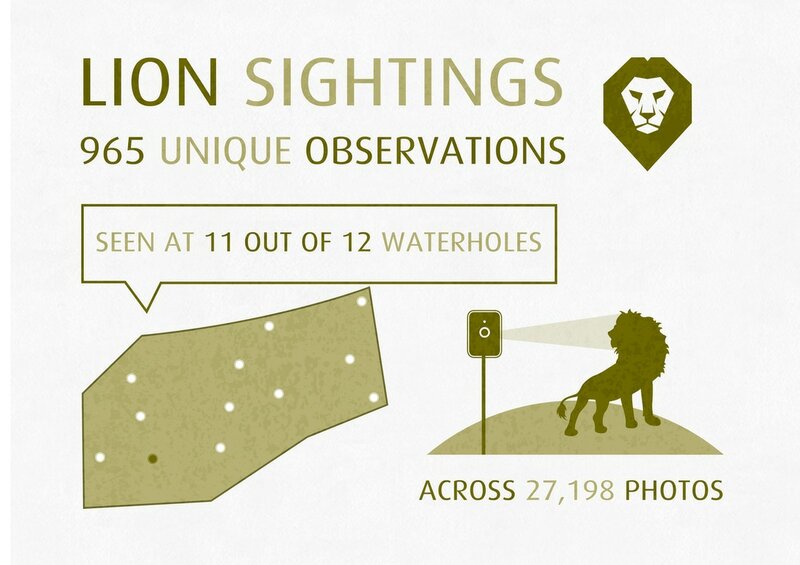 The purpose is to inform staff at the site site (West Midland Safari Park) about the reserve.